An essential part of creating your older adult’s estate plan or will is to choose an executor – someone who will execute (carry out) their wishes after they pass away. Making an informed decision helps them feel confident that their wishes will be fulfilled and family conflict will be minimized. This choice isn’t always as simple as it sounds, so we found a useful article by AARP that has 5 tips to help your older adult choose the right person for the job. We explain what an executor does, share AARP’s 5 helpful tips for how to choose an executor, and highlight key information about each recommendation. An executor is responsible for making sure a person’s last wishes regarding their property and possessions are carried out. They’ll make sure that any debts and creditors your older adult had are paid and that the remaining money and property are distributed as your older adult wished. An executor doesn’t need to be a lawyer or financial professional, but the law requires them to fulfill their duties with honesty and diligence and in good faith – it’s called doing their fiduciary duty. An executor isn’t entitled to get money from the estate except for a reasonable fee for administering the will (in most states). Of course, the executor could also be named as a beneficiary in the will, that’s a separate matter. 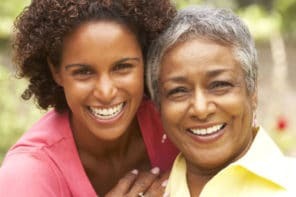 The person your older adult chooses as their executor doesn’t have to be a financial whiz, but they should have basic knowledge of how to manage finances. And it’s better if they tend to be conservative when it comes to managing money. There will probably be duties that they won’t be familiar with, so they should also be comfortable with researching and asking for help from experts. It’s critical that the executor is able to be present and capable of administering the estate. If the person they choose is in poor health or is their age or older, that person might not be alive or healthy enough when it comes time to become executor. That’s why it’s often better to choose someone younger. Of course, life is unpredictable so it’s a good idea to name backups, called successors. The successor can take over if the first person is not able to do the job. Your older adult can name the successors or let their top choice person name a successor. They can also choose a corporate executor, which is a business who can provide this service. A good idea would be to choose an executor, one or more backups (named in order of succession), and have a corporate executor as the final backup. It’s important to understand the tradeoffs when naming a bank or financial service company as executor. First, they can only fulfill their duties as long as the business is still around – so the company has to outlive your older adult. Second, the fees you’ll need to pay them to execute the will or estate will typically be more than what you would pay an individual. Third, a corporate executor will be impersonal. There will probably be different people involved over time and there may be inflexible policies they must follow to protect the company from liability. Some estates have a lot of assets or will take a long time to administer. In this case, your older adult may want to choose two (or more) people to act as co-executors. The benefit is that if there are tough decisions to be made or a lot of work to be done, it won’t all be left to one person. However, having more than one person in charge could lead to conflict. For example, if children are all named equally as co-executors, that could cause tension or fights. Even if all the children are currently in agreement about how the assets would be divided, issues could come up when it’s time to administer the estate. Your older adult would be better off trying to prevent family conflict rather than “being fair” to their children. If there’s a lot of potential for conflict, a corporate executor may be a better option. Things can change over time. Your older adult’s top choice today could be an unwise choice two years from now. It’s good for them to review their choices regularly and especially important every time there’s a major life change. For example, when there’s a divorce in the family, someone becomes estranged, there’s a reconciliation between family members, etc. In the case of a blended family or second marriage, a corporate executor may be a good choice because they will be neutral and unbiased. For example, a second spouse who is executor could end up treating their biological children better than their stepchildren. If only “seniors” would only take this advice. I am a senior trying to deal with senior parents who have done little useful estate planning, due to their reluctance to spend any money on an attorney. That is not “fun” spending like it is on a new car/boat/second home or golf. Instead, dad named me executor/personal rep without asking me, without including me in any meetings he did have with an attorney. There is a family business (which I’m not a part of,) a commercial building, debt and not a lot of liquid assets. I expect to resign as rep if his latest will mentions me since he’s rejected all my pleas for appropriate planning including a revocable living trust. 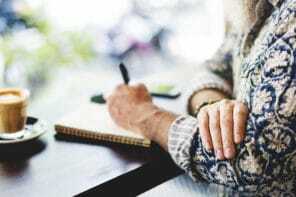 I don’t plan to spend my “golden years” running around settling an estate and expending my retirement savings to do so, when I won’t get a cent from the estate in the end. Fortunately, we are in Wisconsin where the kids are not personally responsible for estate debts. I’m so sorry your dad put you in this situation, it’s certainly not easy. It sounds like you’ve done all you can to tell him how you feel about the situation and your reluctance to be his executor.